Our dental team is our dental family. We enjoy working together because we share a common philosophy of being professional, warm, empathetic and caring. We aim to have healthy & happy patients, to be respectful and attentive at all times, and to take care of you in a quick and timely fashion with great customer service. We practice conservative, proactive dentistry utilizing modern technniques. Our team's focus is all about YOU! We aspire to be the best dental team in Guelph. So when you bring your family to Scottdsale Dental, we are honoured and are committed to providing you with an exceptional dental experience with comfortable dental services that look good, feel good and last a long time! All our professionals at Scottsdale Dental maintain the highest levels of accreditation and pursue ongoing education & training to stay abreast of the latest advances in dentistry. 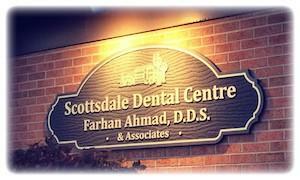 Our team is dedicated to providing our patients with high quality patient serivce and individualized dental care. I'm a dental surgeon, but like everyone else, my teeth need regular care to preserve them and to make them as healthy and attractive as possible. So, just like everyone else, I go to the dentist to receive many of the procedures I deliver to my own patients. When I sat down to write goals for my practice, it occured to me that the kind of dentistry I want to provide for my patients was exactly the kind of dentistry I wanted to receive. And I can assure you that I would hold my dentist to some pretty high standards. I would want my dentist to see me as an individual, to know me personally, and not merely treat me as a chart number or "the next patient." I would want my dentist to foster this relationship by knowing what is important to me and respecting me as a person. And I wouldn't want to be taken for granted, even years into the relationship. Although I am probably as brave as the next person, I would prefer, naturally, not to experience discomfort during my dental visit. I would want my dentist to have genuine concern for my comfort before, during and after my treatment. I would want my dentist to have thoroughly mastered pain-free dental techniques, and if needed offer additional ways of ensuring I stay relaxed and comfortable. Maybe I am spoiled, but I get annoyed if I have to do too much waiting. I would much prefer it if my dentist and staff were ready for me when I arrived, and would really like it if they could give me their full attention. I'm a stickler for quality. I am even willing to pay a little more if I am receiving top-of-the-line quality treatment. These teeth are the only ones I will ever have, so I wouldn't choose my dentist because their fees were the lowest. I would choose a dentist who could provide me with the highest level of care, which is what I feel I deserve. I would appreciate someone who is painstakingly thorough and accurate in all the details of my treatment. So what I want as a dental patient is what I hope you want, because the result of this kind of treatment is my true goal: optimal oral health and appearance. If you want this kind of care, I would be happy to be your dentist! He further had the privilege to receive advanced training in a hospital-based General Practice Residency (G.P.R.) 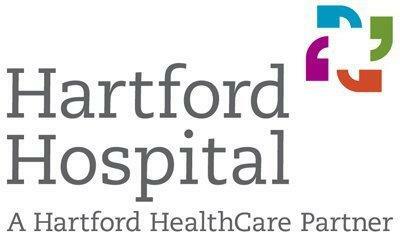 at Hartford Hospital's Dental and Oral & Maxillofacial Surgery Department in Hartford, Connecticut. This was in collaboration with the University of Connecticut's Department of Dentistry. This is a designation held by a small group of dentists. His training included rotations in Hartford Hospital's Anaesthesia, Emergency Medicine and Internal Medicine departments. In addition to the above formal training, Dr. Ahmad has spent hundreds of hours keeping up with improvements and innovations in dentistry to ensure his patients get the most appropriate care. Throughout his formal training, Dr. Ahmad was involved in research work at the University of Toronto's Faculty of Dentistry, Department of Chemistry, as well at the Hospital for Sick Childrens' Department of Nephrology, and the Mount Sinai Hospital's Fred A. Litwin Center for Cancer Genetics. He has published research work in the journals Proteins, Cancer Epidemiology Biomarkers & Prevention, and the Ontario Dental Students Journal. Dr. Ahmad has a keen interest in providing the most up-to-date and comprehensive oral & dental care in a comfortable setting. He is a licensed member of the Royal College of Dental Surgeons of Ontario (RCDSO), the Ontario Dental Association (ODA), International College of Oral Implantologists (ICOI) and Academy of General Dentistry (AGD). During his downtime, Dr. Ahmad enjoys spending time with his family. He also enjoys playing soccer, cycling and outdoor activites in general. Dr. Ahmad works with a team of caring and professional associate dentists in our office, who contribute to the care of our patients and aspire to be the best dentists in Guelph. Our administrative team is very well trained in ensuring you are seen when you really need us. Their top priority is to ensure you recieve the best care in a timely, efficient and convenient fashion. The strong preventative care program at our office is supported by Registered Dental Hygienists who spend hours ensuring they are up to date with the latest in preventative dental care. They are gentle yet thorough, and work hard to guide you through excellent homecare. Our treatment assistants are Certified Dental Assistants trained in highly specialized procedures and able to guide and help you through your any dental care with compassion and ease. We are growing and are always looking for dynamic people to join our team of Dental Assistants, Hygienists and Administrative Staff. If you're one such person and would like to be considered for any new positions, send us your resume by clicking here. They apologized for running late but I was still out ahead of schedule considering my appointment was booked for 1 hr and 40 mins!!! They even put together a care package for a deserving family that needs help for this upcoming season after I asked about getting some toothbrushes and floss for the children - they gave me stuff for the whole family - above and beyond the call of duty and they are not even patients! Thanks a bunch! !